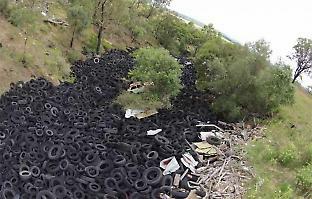 A staggering 51 million used tyres are discarded annually in Australia, causing environmental and health problems like the sea of stockpiled tyres in Stawell in western Victoria. Only five per cent of used tyres are recycled locally in Australia, but researchers from the University of Melbourne have teamed up with Tyre Stewardship Australia and Merlin Site Services to come up with an innovative way to reuse the rubber. 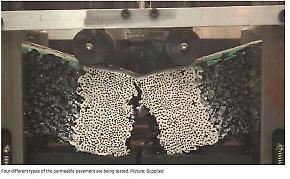 Project technical lead, Dr Mahdi Disfani from the Melbourne School of Engineering, has spent the last 18 months working on a pilot project with his colleauges Associate Professor Lu Aye, Dr Guillermo Narsilio and Dr Alireza Mohammadinia, that increases the number of uses for permeable pavements made from recycled tyres. “While there are a number of recycling solutions for tyres, like using them in children’s playgrounds, in landscaping or in asphalt layers, but the applications for high volume are limited,” says Dr Disfani. 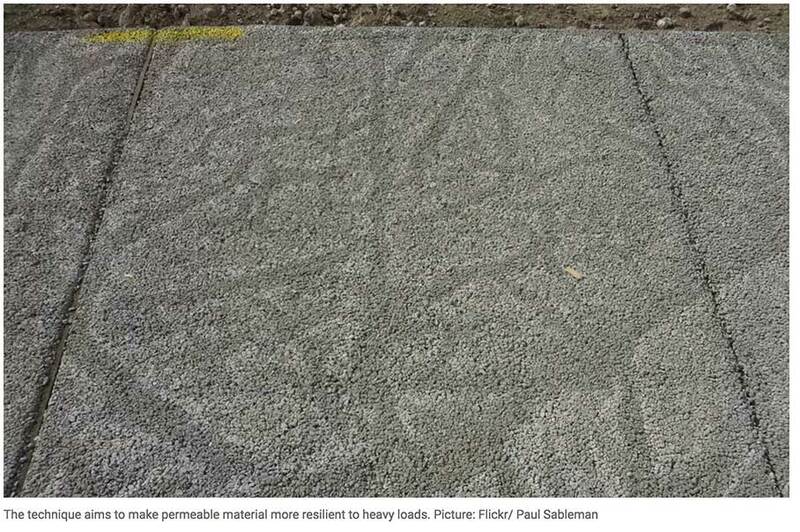 Permeable pavements made out of recycled tyres are already a popular paving option that is flexible and resilient. As opposed to conventional asphalt paving, permeable paving allows water to pass through the surface, reducing storm water runoff and possible pollution in our waterways. But this flexibility means it is unsuitable for roads or bike paths as they can’t carry heavy loads. Dr Disfani and a team of researchers from the University and Merlin Site Services are trialling the use of recycled tyres to create the “optimum blend” of paving that provides some flexibility to reduce cracks caused by movement of natural ground or tree roots, but not so much that it becomes unstable under traffic loads. “It’s a fine balance between recycled tyre particles, rigid rock aggregates and the binder,” says Dr Disfani. The pilot trial at the University of Melbourne campus, involves four different pavement recipes. Each recipe tests a different application such as footpath, bike path, car park and low-volume traffic roads. On top of this, various performance requirements are continuously tested and monitored including skid resistance, pavement movement, water infiltration and run-off, and resilience of the pavement under applied service loads. “Skid resistance ensures pedestrains, bikes and cars can travel safely over these new pavements,” says Dr Disfani. With storm water management a common issue in most major cities, Dr Disfani also sees this project as a viable solution to saving water and reducing pollution to waterways. “Currently, when Melbourne is hit with a major downfall of rain, within minutes we see busy inner-city roads flooded,” he says. “The open structure of the permeable pavement allows enough water to infiltrate and flow through to the many collection systems and nearby gardens around the city. 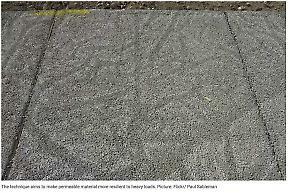 But permeable pavements bring a new set of challenges. Acting as a filter for debris, leaves and sediments, they can become blocked over time warns Dr Disfani. “Blockage is a big challenge,” he says. With promising early results, Liam OKeefe from Tyre Stewardship Australia is hopeful this research will deliver real world impact. 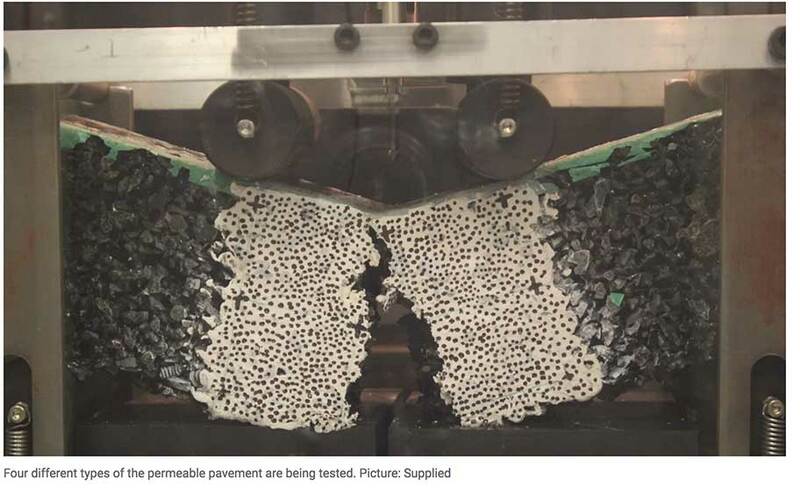 “Once we can verify this blend of permeable pavement and the value it provides, the next step is trialling it on a larger scale – one that can take thousands of tyres from landfill and have a dramatic effect on sustainability,” says Mr O’Keefe. “Currently permeable pavement is expensive, but if we can create the right product that is cost effective, skid resistant, durable and with the right amount of flexibility, we can diversify the applications of used tyres. For Dr Disfani, this is the ultimate goal.